A religious convention called to elect a new bishop for the Episcopal Diocese of Albany next month has prompted some church leaders to declare they fear a looming financial crisis that would hobble upstate Episcopalians with debt for years to come. For months, internal debate has revolved around outgoing Bishop Daniel Herzog, who is accused by some in his flock of concealing church finances, short-circuiting the election of his successor and sidelining those who clash with his theological beliefs. The climate in the diocese has added significance because of the high-profile battle Herzog has waged as a national leader in the Episcopal Church’s internal fight over the ordination of gay clergy, which Herzog vociferously opposes. Dissension within the Albany diocese reached a climax with an extraordinary letter last September. Albany businessman Thomas Maggs, a trustee seen as closely aligned with Herzog’s conservative vision for the diocese, abruptly resigned. His job as a fiduciary, Maggs wrote in a letter obtained by the Times Union, had become impossible. The bishop had stonewalled his every request for financial information. Maggs and others feared the information clampdown hid major debts that have grown out of Herzog’s pet project – the creation of a 612-acre retreat in the hills of Washington County. A conversation with the diocesan accountant, William Kahn, only reinforced Maggs’ concerns. In 2002, the 19-county diocese of about 20,000 baptized members began selling church real estate worth millions of dollars to raise money for Herzog’s project, known as the Christ the King Spiritual Life Center. That angered some parishioners who cherished the old properties. Lives were disrupted in the case of the Nelson House adult home in Albany, when 60 senior citizens were forced to relocate. The diocese hired Mathew Baker to run the new retreat center, which opened last year. Baker’s father also was hired to manage the retreat’s construction. Inside the church, questions arose over using charitable funds intended for health care on a faith-based healing ministry at the center that has nothing to do with actual medicine. In an about-face, Herzog last week readily disclosed to the Times Union some of the information he denied to Maggs. The frustrated former trustee had referred, for example, to rumors that the Spiritual Life Center’s cost exceeded $8 million. Herzog pegged the total land-acquisition and construction costs at $9 million. Church financial records obtained by the Times Union suggest the total spent to date at closer to $9.7 million. Baker, the director of the Spiritual Life Center, predicted his facility would come close to breaking even this year. The recent strife comes as the historic diocese, which traces its Albany roots to the 17th century, moves through a period of politi cal, theological and financial flux. The broader Episcopal Church that encompasses the Albany diocese is the American wing of the international Anglican Communion, whose spiritual leader is the Archbishop of Canterbury. Next month, lay deputies and clergy will gather in Albany to execute the complicated ritual of electing Herzog’s successor. They’ll vote separately, like the two houses of Congress, on a slate of candidates that so far numbers 11. Victory requires a majority of clergy and laity. Their choice will then face approval at the general convention of the U.S. Episcopal Church. There the candidate will brush up against the politics of a national church that, like the Albany diocese, is divided over the issue of ordaining gay priests. Herzog, a national leader in the anti-gay ordination camp, said he decided to retire now largely out of a tactical calculation. The sooner the diocese picks a new bishop, the better the chance that bishop will win national approval, he argued. “I just think that we haven’t reached a point of such rigidity that somebody would be rejected out of hand,” Herzog, 64, said. Herzog must step down within three years of the consecration of the new bishop. Whoever wins the election will inherit a diocese drastically different than the one Herzog assumed from former Bishop David Ball in 1998. Clergy who don’t share Herzog’s theological bent, critics complain, have also been frozen out of leadership positions within the diocese. And some feel his plan to fast-track his succession, approved when Herzog announced his impending retirement at last year’s diocesan convention, short-circuits the lengthy stock-taking crucial to picking a leader who will guide the diocese for years to come. “I’ve never seen a diocese change as quickly as the diocese of Albany has,” said the Rev. 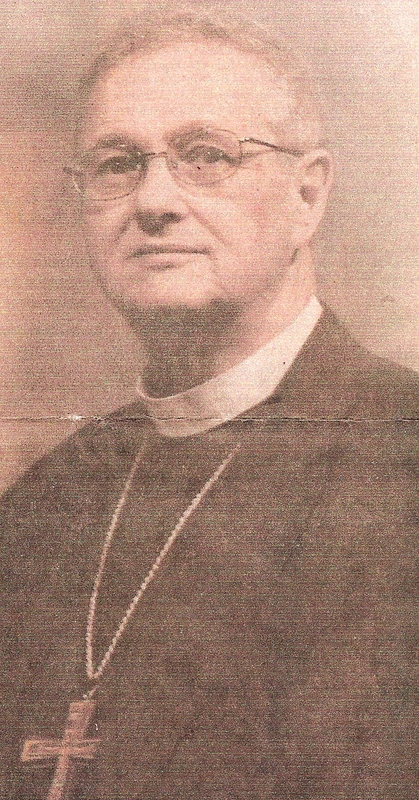 James Brooks-McDonald, rector of St. Stephen’s Episcopal Church in Schenectady. Part of the change has been the northward reorientation of diocesan activities, away from the traditional focus on Albany and closer to the sprawling diocese’s true center. The Spiritual Life Center in Easton contributed to the shift. The center’s entrance is a boulevard lined with pine trees. Rocky dirt roads link bungalows, an imposing library, a welcome center, a chapel and a convent. Lakes and a horse pen complete the bucolic picture. A residence for director Mathew Baker occupies perhaps the choicest spot. Its Palladian windows frame a sweeping vista of pastures and church steeples poking out from the village of Greenwich nestled in the hills below. Herzog defended the selection of both men. He pointed out that the younger Baker ran the diocese’s former youth summer camp in Cooperstown and has a “keen mathematical mind.” He said the elder Baker has 30 years of construction experience. And Mathew Baker, 40, added that the diocesan decision to hire his father saved money. The oversight committee early on interviewed three Albany-area construction management firms. The least expensive, he said, would have cost $1 million. Asked his father’s salary, Baker said he did not know. Baker said he saw no conflict in the fact that his father oversaw construction, with church money, of the house where he now lives. Herzog also stuck up for another aspect of the center that has attracted attention from the state attorney general’s office: the use of charitable funds intended for health care on its healing ministry. The Rev. Nigel Mumford, a former drill instructor in the British Royal Marines, runs the the healing ministry with his wife. Combined, the couple’s annual compensation costs the church $146,000, according to a source with knowledge of church finances. Tax records show the diocese has poured hundreds of thousands of dollars into the healing ministry through one of its nonprofits, Episcopal Charities of Albany Inc.
And part of it involves members of the prayer team laying hands on the patient, which is done only after the patient signs a consent form and only if the body part involved is appropriate. Privately, one church official has urged the attorney general’s office to investigate charitable funds steered into the healing ministry and used to purchase much of the Spiritual Life Center’s general infrastructure. If that agency investigates, it will not be the first time state lawyers have tangled with Episcopal Charities. In its thirst for money to fund its Spiritual Life Center, the diocese aggressively pursued a $2 million gift left to Child’s Hospital by a deceased Delmar couple, court records show. Jane and Vincent Hummel – devout Methodists – were treated at the hospital and wanted to leave Child’s Hospital one-third of their estate for patient care there, according to the attorney who drafted their trust agreements. Episcopal Charities claimed that, as legal successor to the hospital, the cash should belong to it. But a state Supreme Court judge ruled the money belongs to Albany Medical Center, the new owner of Child’s Hospital. The couple wanted to leave the money to a hospital, the judge decided, not a charity run by a church with which the Hummels had no relationship whatsoever. The diocese has appealed the decision. Herzog declined to comment on the case.